You realize how much time flies when you are too caught up in life to document it. And that’s good. There are those moments in life where you are truly living ‘in the moment’, and then there are the times when you are just completely overwhelmed by/in awe of/truly gobsmacked by that moment you are in. I cannot believe I am living in Paris, buying groceries at outdoor markets every day, commuting to and from school like it’s completely normal and I’ve been doing it forever, giving tourists directions, and speaking in French as much as I can. A-freaking-mazing. Class goes on, and our class has grown, with now 15 students in total, filling every available desk in the semicircle around the room. It turns out we have to pay for a fifth week in order to complete this *half* of the course of A2, so off I went to the registrar office to add another 5 days of class to my schedule. I have now been told by several ex-pats living in Paris that a) the French have never been good at communication, and b) if the French can figure out a way to make things more complicated (education and paperwork particularly), they will. I am finding this to be very true. The Franglish venue- now in ‘my neighborhood’! An art installation along the fence at Jardin Du Luxembourg; photos ‘then and now’ remembering WWII. Along my walk to school. In the Jardin Du Luxembourg. But to backtrack, and share a bit about the days leading up to this move, I had fantastic adventures last week, with a visit to a market, The Centre Pompidou, and “Dinner at Jim’s” on Sunday night! The Bastille Market is the best one I have been to so far, and as soon as I say that I have several other spots recommended to me, as always seems to be the case here in Paris. “Oh, you think that place is amazing? Try this place!” It was much more of a food market than clothing or housewares, and had a lot of fresh seafood. Everything you could imagine from crab to squid to oysters…. To frogs legs. Lots of produce at better prices than in any grocery store I have been to. And some prices went down as the end of the day arrived. Lots of fresh food (meats, cheese, bread, pasta) from different cultures and countries as well. I had a lunch of warm sate chicken skewers, roasted tomatoes, and fresh melon for dessert. 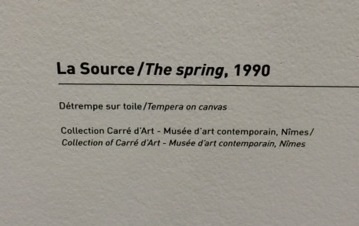 I had heard about an art installation in film at the Centre Pompidou by the video artist Christian Marclay called “The Clock” That I wanted to check out. It is a 24 hour film montage with thousands of time-related scenes from movies, where each scene contains an indication of time (for instance a watch or clock, or dialogue) that is synchronized to be in real time of the audience watching it. It’s unbelievable- not only is it edited brilliantly, there is a wonderful rhythm to how the various films relate and move forward cohesively.I watched just over an hour and then went to see what else the centre offered. 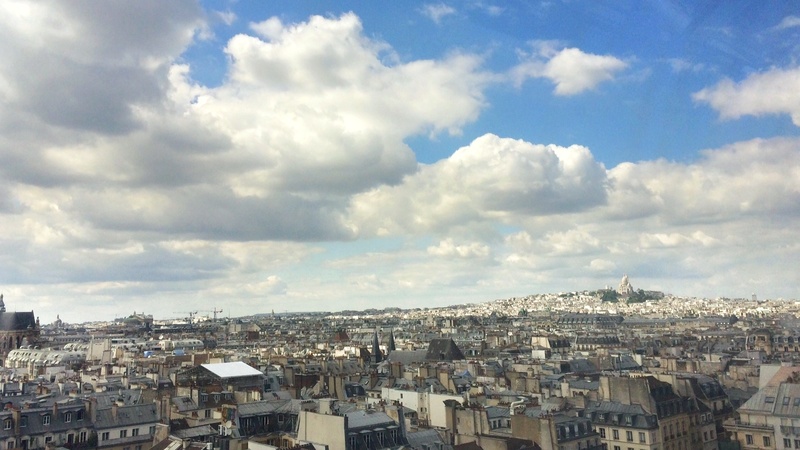 There are many galleries there, and a great view of Paris from the top floor. 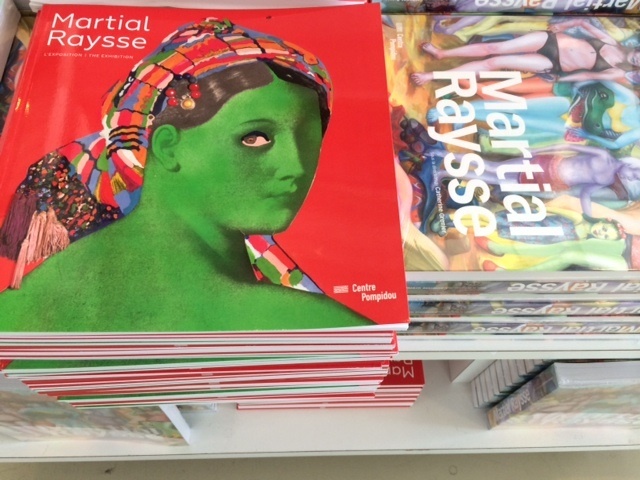 The largest exhibition seemed to be for Martial Raysse and was amazing modern art. It was a collection with pieces from his entire career (over many decades- from the 60s until now). 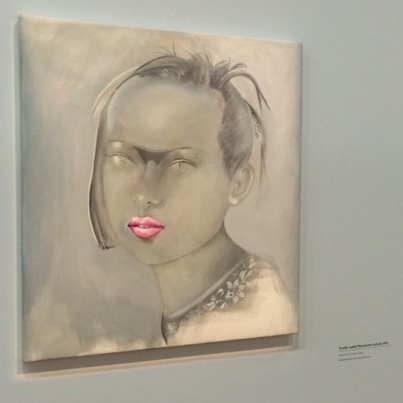 The portraits were my favourite part. The detail and variation in the leaves in this painting amazed me. An afternoon walk, via some beautiful streets, fountains, and of course some tourist-heavy areas. Oh, and Les Halles metro station, which I do not recommend using (crazy/huge/busy/dirty). The only photo I took. The food being prepared. Notice the giant bowl of bread. So, back to the present. I am currently writing this at my kitchen table, with the sound of a live accordion playing La Vie En Rose outside my window to the restaurant patrons on the street, before I head out to enjoy La Fête De La Musique today with some free concerts. I was so happy to cheer for France last night at the pub, surrounded by Parisians. It was so fun to be in such an intensely passionate group of people cheering and singing and chanting . I’m sure it’s like the playoffs of the NHL in hockey in Canada or the States in the hometown of the playoff teams. I loved it!! walking around Paris after the game…. And on and on it goes! 🙂 I hope you have a great weekend!